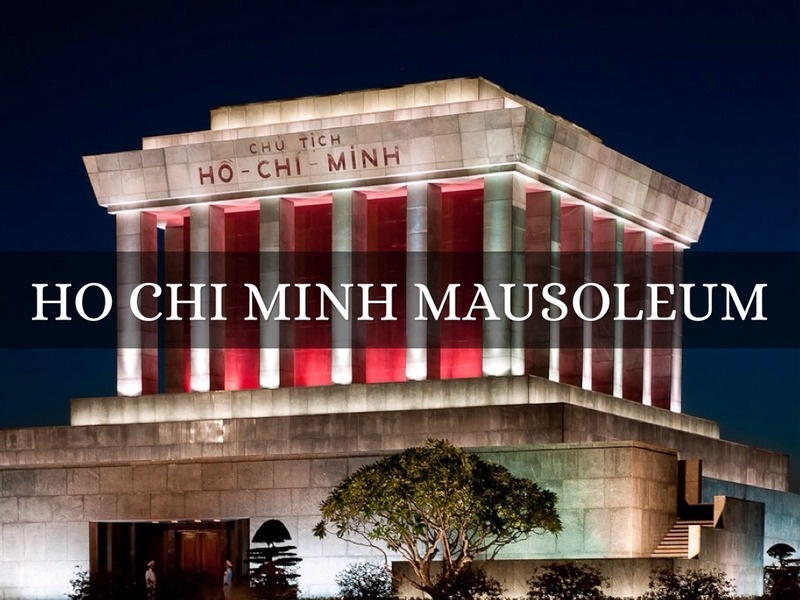 Today I will show you a tour around HCM Mausoleum. The Ho Chi Minh Mausoleum is a large memorial to the Vietnamese leader in Hanoi, Vietnam. 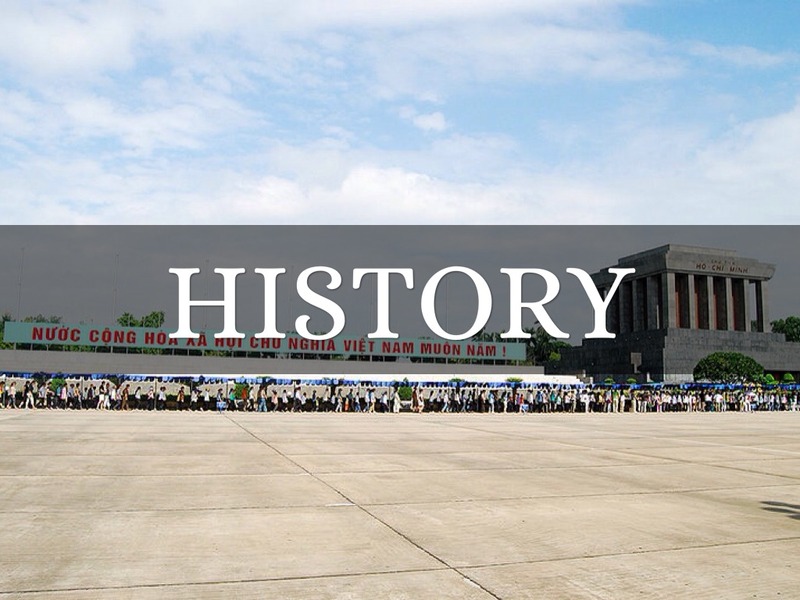 It is located in the center of Ba Ðình Square, which is the place where uncle Ho read the Declaration of Independence on September 2nd, 1945, establishing the Democratic Republic of Vietnam. 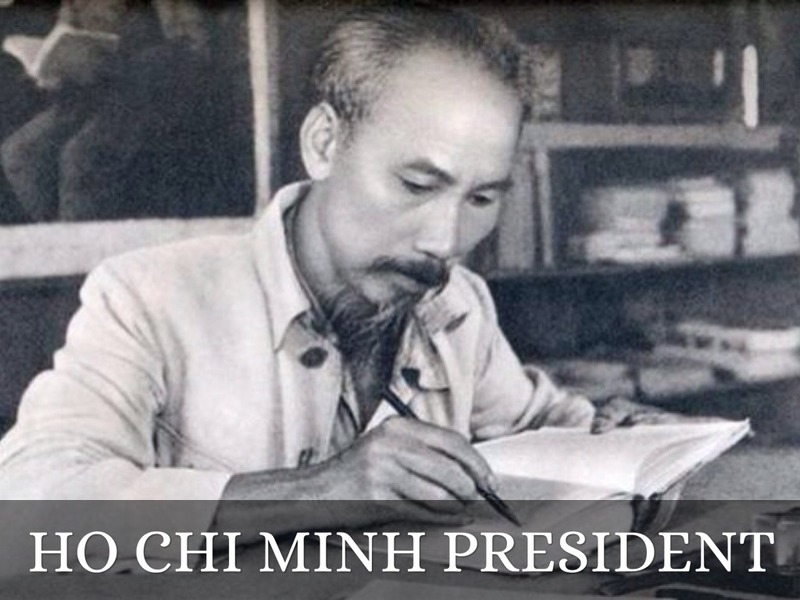 Hồ Chí Minh was a Vietnamese leader the first president of the Democratic Republic of Vietnam. He was recognized by UNESCO as the one who “devoted his whole life to the national liberation of the Vietnamese people…”. In honor of the President’s gratitude, the Government had the Hochiminh Complex established inside capital Hanoi after he was gone. 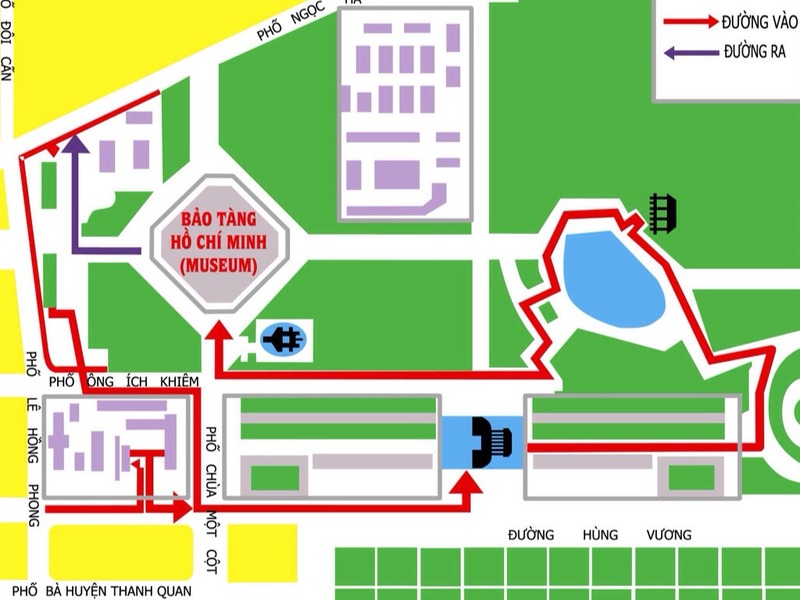 Built in Ngoc Ha village, Ba Dinh district, Hanoi city, Hochiminh complex consists of Ho Chi Minh’s Mausoleum, Ba Dinh square, Presidential Palace, Uncle Ho’s House on stilt, One pillar pagoda and Ho Chi Minh Museum. Let’s now take a tour to this special complex; Our first destination is the Mausoleum. If you want to go inside the Mausoleum you will have to stop and buy ticket from ... And stand in two line go in this way to get into the Mausoleum. With the outcome of the Vietnam War still in question, Ho Chi Minh died at 9:47 a.m. on the morning of 2 September 1969 from heart failure at his home in Hanoi, aged 79. 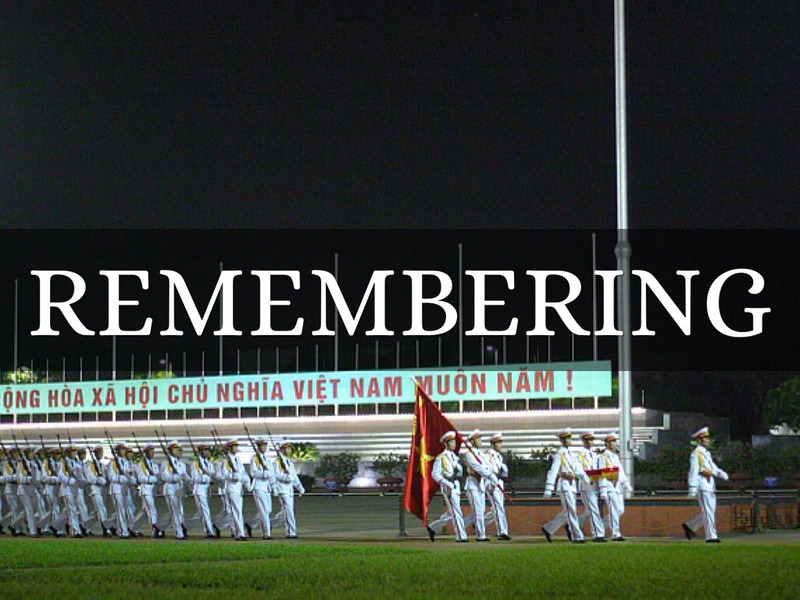 News of his death was withheld from the North Vietnamese public for nearly 48 hours because he had died on the anniversary of the founding of the Democratic Republic of Vietnam. Ho Chi Minh’s Mausoleum. In his will, the President stated his wish to be cremated, and to be buried on the hills of the North, the Center, and the South of Vietnam. But, in honor of his huge dedication for the country and for the love of all Vietnamese for him, the Government decided to keep his body so that he can see the whole country’s reunion, and the following generations can come and visit him. So, on September 2nd, 1973, the mausoleum started to be built and was completed on August 22nd, 1975. Visitors must be silent, and walk in two lines. Hands must not be in pockets, nor arms crossed. 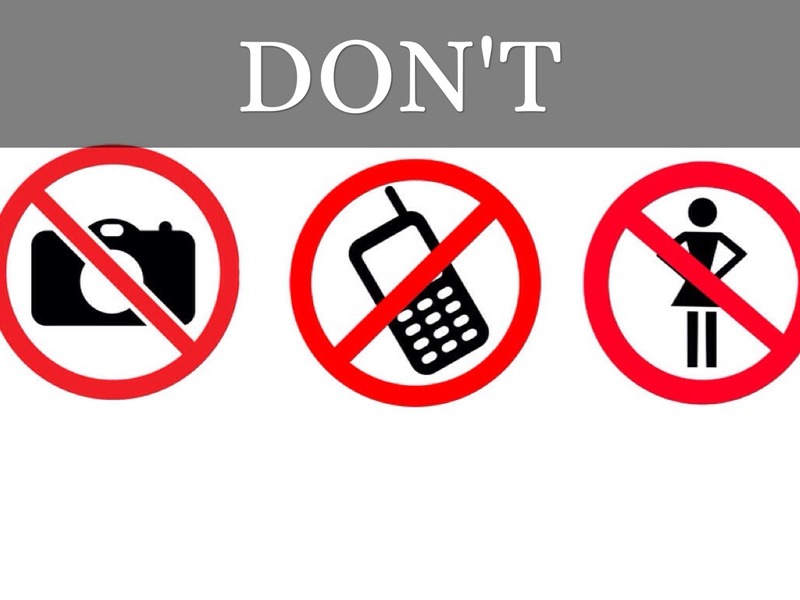 Smoking, drinking, eating, photography, and video taping are also not permitted anywhere inside the mausoleum. There are 2 guard in front the Mausoleum and change shift every hour. Because there's no camera allow inside so we don't have any picture of inside the mausoleum so I will describe a little for you. 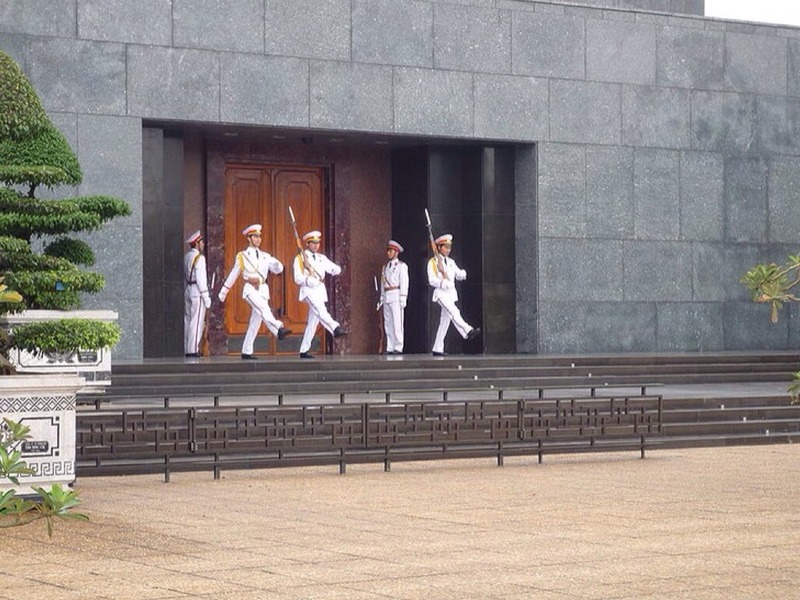 The embalmed body of Ho Chi Minh is preserved in the cooled, central hall of the mausoleum, which is protected by a military honor guard. The body lies in a glass case with dim lights. The embalming process was undertaken by Russian experts – each year in early autumn, his body is flown to Moscow for three months for maintenance. 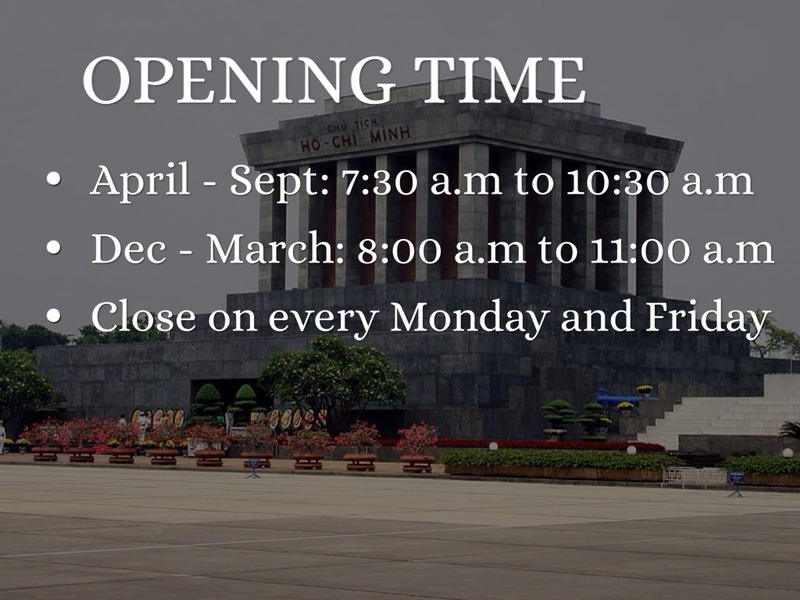 Every year on 19/5 ( HCM birthday), 2/9 (anniversary of the Independence and also his Death) and Tet holiday, mausoleum is open for Vietnamese people to come and show our respect to the great president. 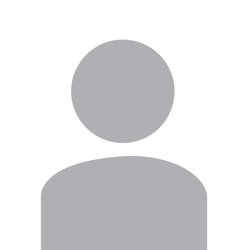 To the one that gave us independence and gave us a peaceful life like today.